Patrick Haberland, born in South Africa from a Mauritian mom and a German dad, moved to Mauritius at the age of 9. 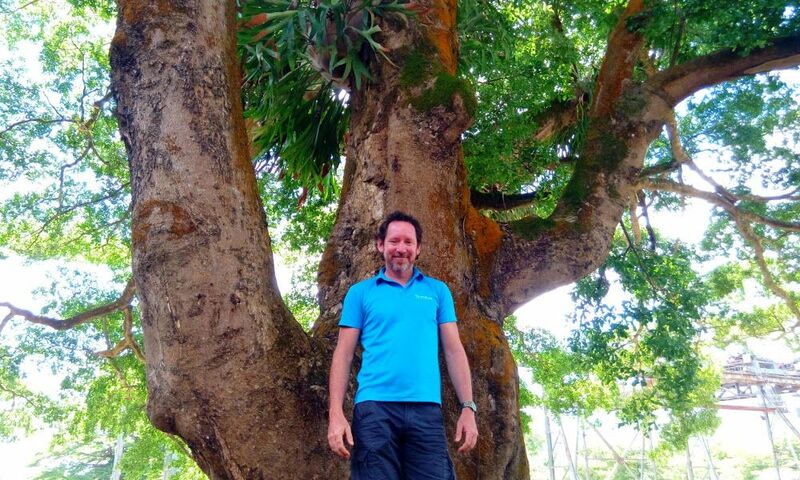 His thirst for adventure pushed him to open his own routes through forest, coast and sea, the same ones that he shares today with travelers of the world through his ecotourism enterprise, Yemaya Adventures. Patrick is a former cycling champion and certified Kayak Coach by the British Canoe Union (BCU). 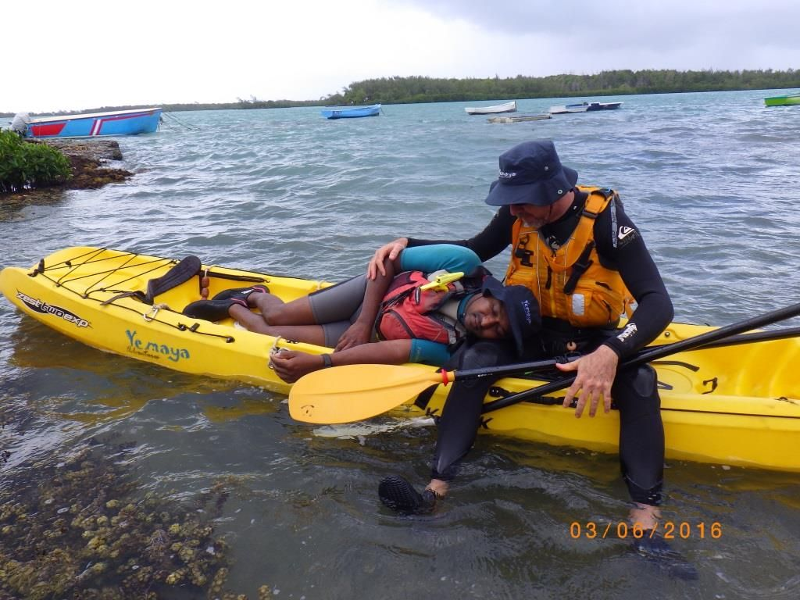 He traveled the world representing Mauritius in mountain biking competitions and mastered professional trainings on kayak rescue, currents, and navigation planning among others. What led you to create Yemaya Adventures? 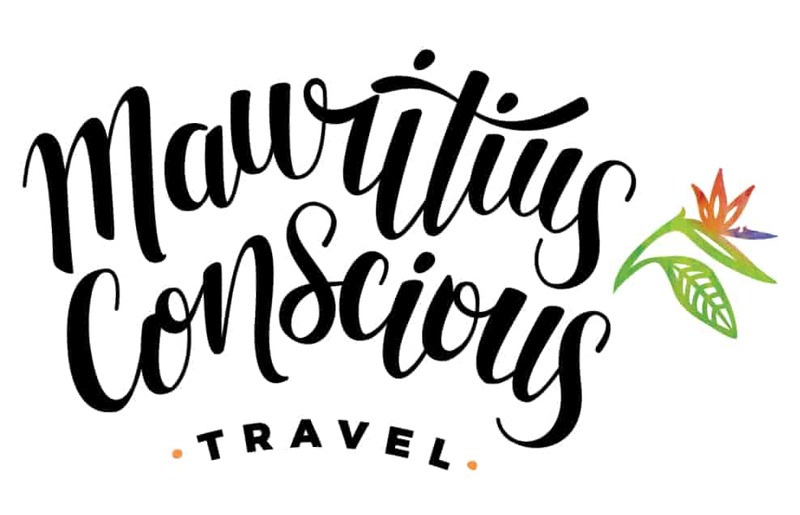 My love for the unique charms of Mauritius and the willingness to share them with the rest of the world. 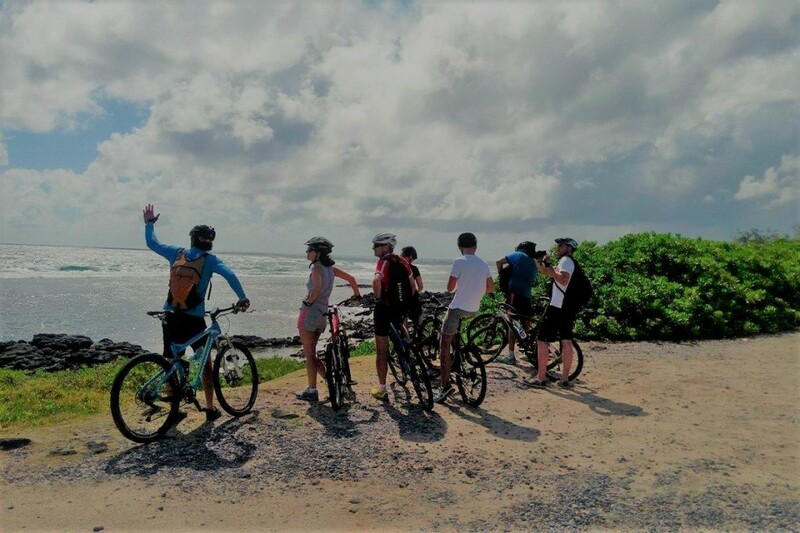 I wished to do what I loved for a living, and so Yemaya Adventures came to life in the year 2000 as a Mauritian ecotourism company offering guided cycling, sea kayaking and hiking excursions in different areas of the island. Back in 2000 I offered a kayak excursion in Tamarin Bay, which moved quite well given that we had the chance to encounter dolphins on the way. Back then, the “swimming with dolphins” attraction didn’t exist as such, but in a matter of 4 years I noticed more and more boats coming to chase the dolphins – that’s when I realized that we were not doing them any good. Dolphins come to our shores to sleep, reproduce and socialize with their calves, and deserve the same peace that we demand when doing so. I decided not to be part of this phenomenon that was on rise and stopped offering the Tamarin Bay excursion. It was an important loss of revenue, but having kept doing it would contradict the purpose of my activity, which is respectful appreciation. 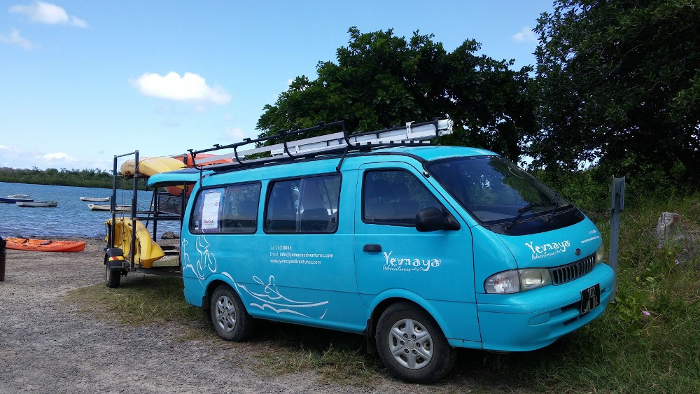 An important point we consider in all Yemaya Adventures excursions is the education on endemic flora and fauna and their relevance to the local communities. This to stress importance on its needed appreciation and preservation. 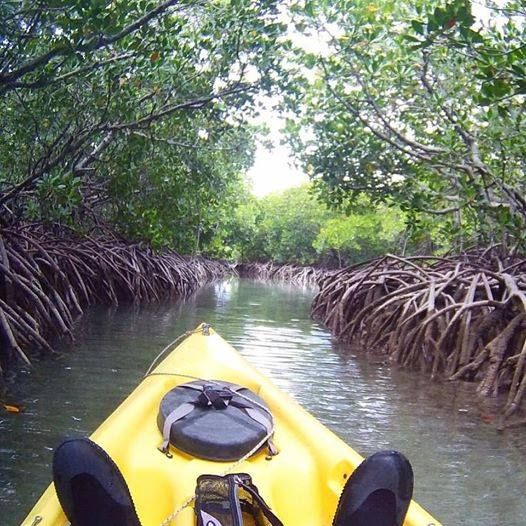 Our kayaking tour to Amber Island is focused on the natural cycle of mangroves and their role in the marine environment. 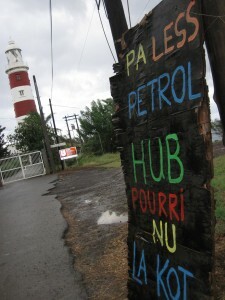 The sea kayaking excursion to Pointe aux Caves aims to raise awareness of the unique beauty and potential of a place threatened by the development of a petroleum hub that will not only destroy its aesthetic and natural landscape, but will severely pollute the sea water where whales, dolphins, fish and corals will banish. 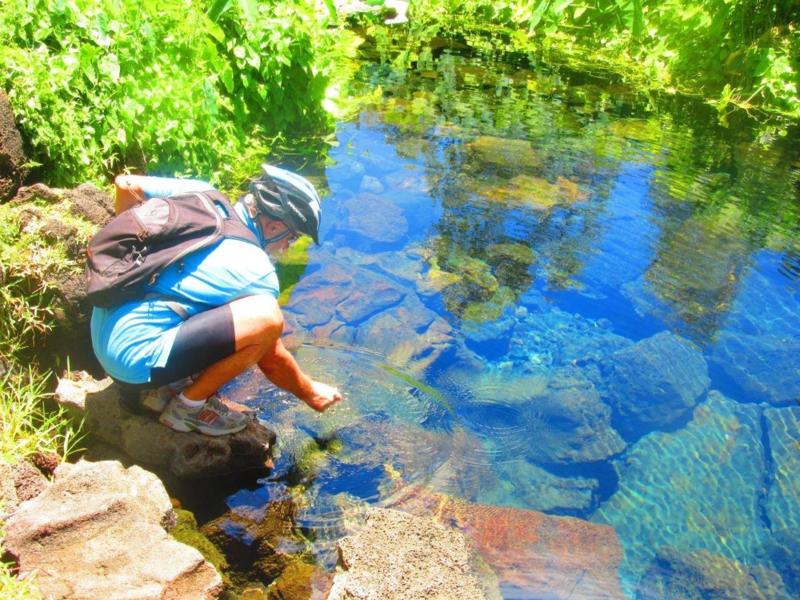 Our mountain biking tour crosses through the Bras d’Eau National Park up to the Caves of Roches Noires, two magnificent natural sites that have been recently recognized as natural heritage of Mauritius, and we finish with a splash in Trou Diable, a fresh and clear basin in an area threatened by the approval of a Smart City project. Raising awareness of the worth and fragility of this places if our fight to defend them. Photo by Klaus Gerasch in Trou Diable. Via Yemaya Adventures Facebook page. Last but not least are the details that make a difference day by day. Our kayaking excursions include reef-friendly sunscreen for all participants. 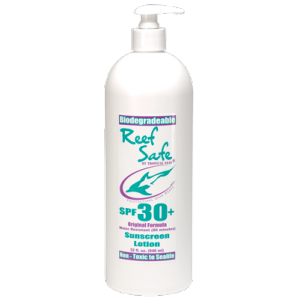 Commercial sunscreen lotions contain chemicals that are highly hazardous for corals (oxybenzone, butylparaben, octinoxate) so offering biodegradable solar cream made of natural minerals is important to mitigate the impact of our excursions in the sea. Also, the refreshments we offer are served in reusable stainless steel cups, minimizing our consumption of plastic bottles. To wash the metallic cups and the bikes we use environment friendly washing liquid and rainwater. Whatever trash originates is kept and deposited in the recycling containers of Mission Verte at La Croisette. 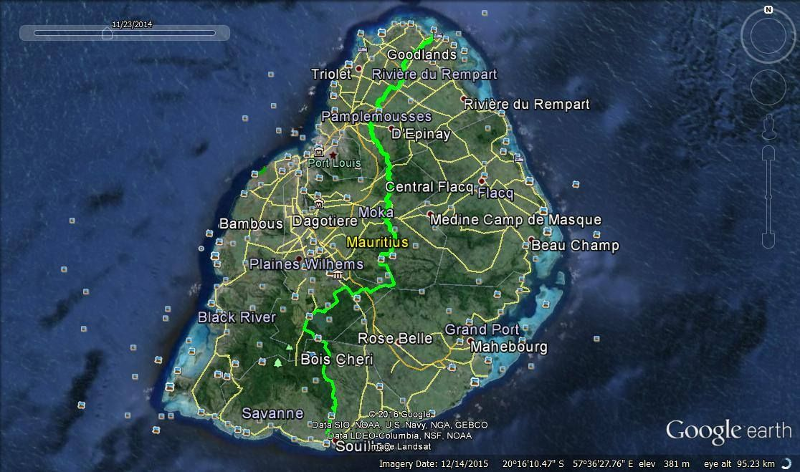 I am a co-founder of Permanature Mauritius, an NGO dedicated t o increase awareness of environmental issues through mountain biking. 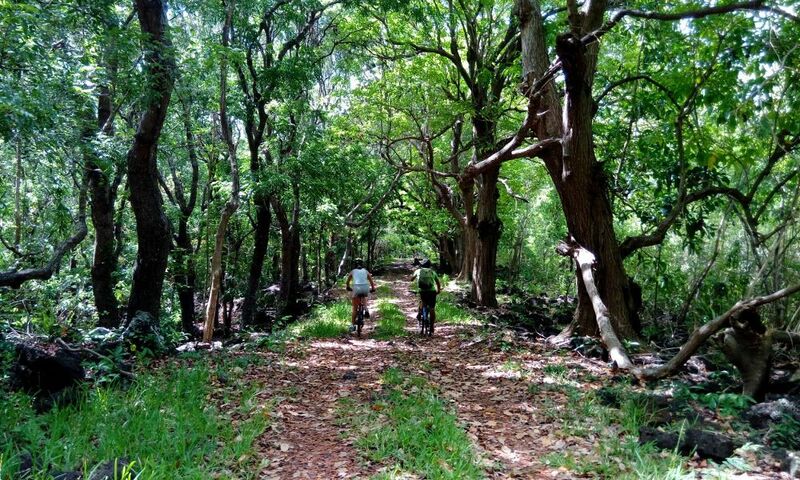 This project aims to rehabilitate wastelands with new biking trails and parks by using permaculture techniques, thus promoting a healthier lifestyle through outdoor sports. We already had taken out 8 truck loads of rubbish and made a mountain bike / hiking trail and organised a few events: 1 mountain biking race, 1 BMX event with Red Bull and a hike and fun ride more recently. 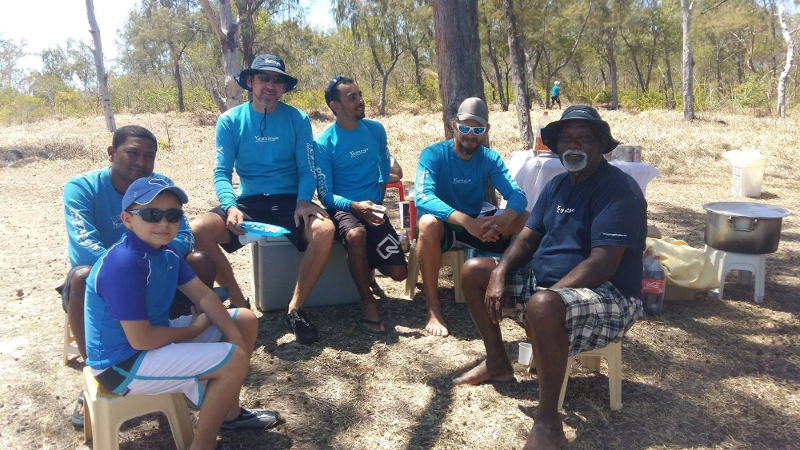 The team of guides of Yemaya Adventures are all Mauritian, experienced guides. We organize ongoing trainings on risk assessments where possible scenarios are put into play, and our First Aid Training is renewed every 3 years. Hemraz, the older soldier, has grown with Yemaya Adventures for the last 12 years. It is priority for us to take care of our team by granting proper payment and time off as they deserve. Rescue training – although they’re also this close in normal conditions. 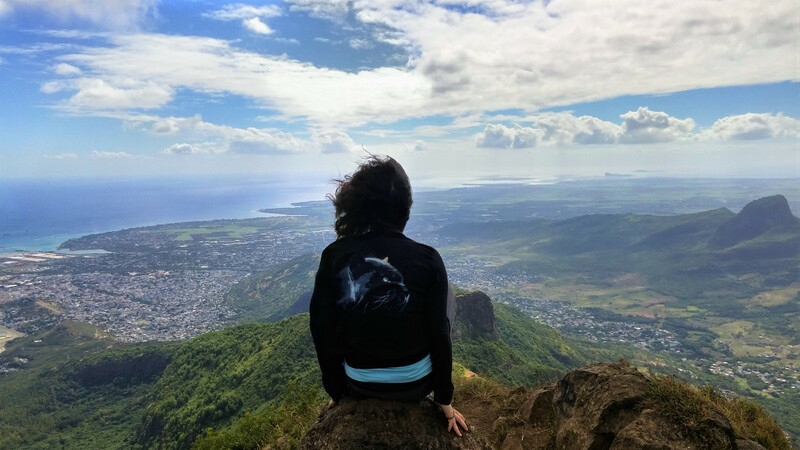 We also offer fresh Mauritian products for the snacks of our excursions, like the Labourdonnais juices and jellies and a nice cake from the bakery in our area. Since some time ago we’ve been meaning to start running our minivan with used vegetable oil, a goal I really hope to concretize this year to reduce our consumption of diesel when transporting our kayaks. The first challenge is to find the used cooking oil. I visited several restaurants that use it for deep-frying our so famous Mauritian delights, but surprisingly enough they reuse the same oil until it’s over (!). I met the guy in Mauritius who has the means of filtering and cleaning the used oil for it to have the right viscosity for car motors. The challenge here is that, not being a demanded business in Mauritius yet, he might need to step out from this initiative.  Collect on a monthly basis the leftover cooking oil used within the Conscious Community, with Partners such as Guest Houses and eco-lodges and even other ecotourism, wellness and arts Partners from their household consumption. The oil collected can be brought to be filtered in the same place month after month, aiming to keep alive this service, reduce diesel consumption & mitigate water pollution. Design a bus-routes map to our excursions’ meeting points and share it with clients well in advance. Offering a reward to clients proving they came by bus to their excursion. Organize quick clean-ups of the areas visited during the excursions. Every participant is given a bag so we can collect whatever debris comes on our way. Every client can plant a propagule (baby mangrove) that has drifted away and would otherwise have less chances to grow.